The official Pokémon website has today teased about a Halloween event in Pokémon GO. While not unexpected given an event happened for it last year, it’s still nice to see confirmation. The Halloween season is a special time in Pokémon GO. Plenty of good stuff is coming to the game later this October, and we can’t wait to get out and about to see what sort of excitement we can scare up while catching new Pokémon to fill out our Pokédex. Stay tuned for more details about Pokémon GO’s Halloween event coming soon! Also announced are special collections of old spooky episodes of the Pokémon anime, and special Halloween stencils to use for your pumpkin carving (if you do that sort of thing). 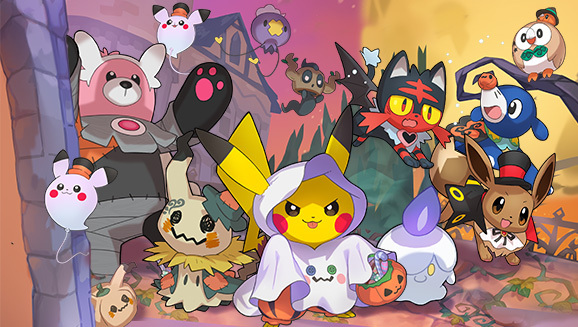 What are you hoping to see in the Pokémon GO Halloween event this year?